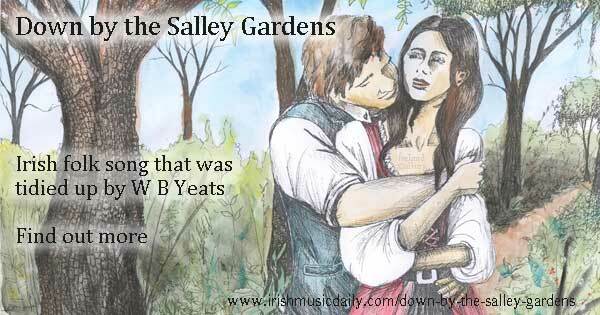 Down by the Salley Gardens has an unusual background for a song that has passed into the Irish folk music tradition. 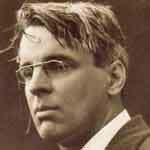 Down by the Salley Gardens was written by W B Yeats, who is generally known as one of Ireland’s greatest poets and not usually associated with being a song writer. 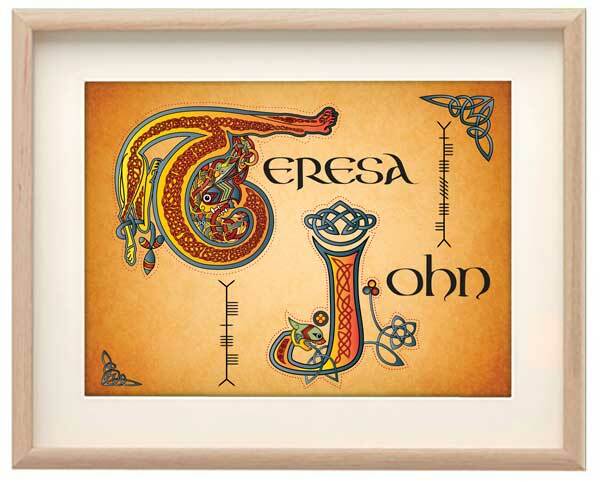 Nevertheless, it has become one of the most recorded Irish songs of all time and has attracted the attention of performers from widely different musical backgrounds. Ironically, considering it was written by a great poet regarded by many as a literary genius, the song is one of the simplest you will find anywhere in the Irish music repertoire. It’s a kind of lament by a young man who meets a beautiful girl in the Salley Gardens but then loses her, presumably for failing to accept what she has to say. She urges him to “take love easy, as the leaves grow on the tree”. However, he “was young and foolish and with her did not agree”. It all ends in tears. We are not told why but the presumption is that he tried to move too fast and so frightened her away. Yeats published the poem in his collection, The Wanderings of Oisin and Other Poems in 1889. In a note on the poem, he said that he was trying to reconstruct an old song he had heard being sung by a woman in the village of Ballisodare in Sligo. He could only remember a few lines but acknowledged his debt to the original version by calling his new poem, An Old Song Re-sung. It was only changed to the Salley Gardens when it was published again in 1895 in his collection, Poems. But I was young and foolish and with my darling could not agree. The words are very similar to Down by the Salley Gardens and it seems safe to assume that You Rambling Boys of Pleasure was the song Yeats heard being sung by the old woman. You Rambling Boys of Pleasure is longer and more complex than Yeats’ version. 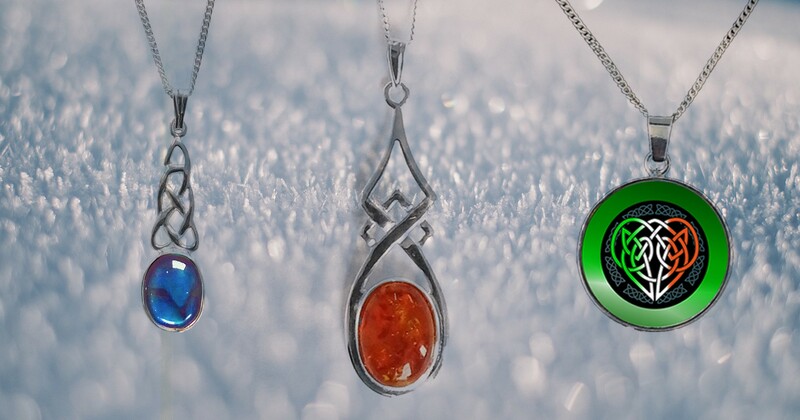 It refers to the young woman changing her mind about the relationship and money is said to play a part. Down by the Salley Gardens gives no specific reason for the failure of the relationship, and the effect may be stronger as we are left to make up our own minds. Down by the Salley Gardens was written as a poem and remained that way until 1909 when Herbert Hughes set it to music using the old Irish melody, The Maids of Mourne Shore. 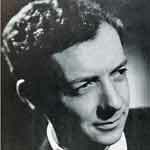 Other composers including Rebecca Clarke, John Ireland and Benjamin Britten also set the words to music. But it’s the original version, The Maids of Mourne, that most people still associate with the poem. What is a salley garden? Salley or sally comes from the Gaelic word saileach which means willow. The Salley Gardens therefore simply means willow gardens. Slender shoots of willow were used to bind thatched roofs and so it was common to find small willow plantations close to villages in Ireland. As well as providing willow shoots for thatching, they doubled up as a meeting place for young lovers.